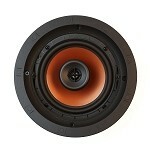 Thinking of Installing Architectural In-Ceiling Speakers? Entertainment has certainly come a long way since the birth of speaker systems. The dynamics within the powerful listening experience has produced a sound explosion for consumers, causing the popularity of speakers to absolutely soar, specially over recent years. Technological advancements have more than positively influenced the style and quality of speaker systems and today, and the variety of available speaker options and configurations is only limited by budgetary considerations and constraints. The in-ceiling speaker system has become quite prolific, where such systems were originally confined to installation and use in public places like waiting rooms and airports. The advantage of an in-ceiling speaker system is that it provides great audio quality while remaining well-concealed to provide users a great entertainment experience without producing additional clutter in the listening area. There are numerous models and makes from which sound shoppers can make their choices. While in-ceiling speaker systems can be purchased from many electronic retail stores and Internet shopping sites, it’s best to go with the experience and professionalism of an established authorized dealer. You’ll avoid trickery such as “bait and switch” tactics, and you will be assured that you are getting the real thing, and not some black market product. In-ceiling speakers work very similar to regular speakers, with the only difference being that they are set up in the ceiling instead of simply being mounted to a cabinet shelf or stand. They make use of the existing space found within the ceiling to provide a listening experience featuring higher bass and treble than you would get using regular speakers. An in-ceiling speaker works by taking the electrical signals that come from the receiver and converting them into sound waves that are audible to the human ear. This is done by the drivers built into the speakers. The drivers generate sound waves by vibrating against a plastic or metal cone. The cone is attached to a vibrating coil and when electric current passes through the coil, the coil’s polar orientation is changed, creating a magnetic field around the coil and making the coil move. When the coil moves, it pushes and pulls the cone. It’s this action that ultimately creates the sound waves we hear.